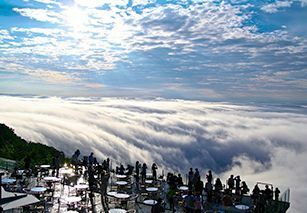 Even though Hokkaido is known for being a winter wonderland, it is also a popular location for summer thanks to its mild weather which averages around 22°C, making it ideal for sightseeing. From forests to lavender fields, there are many scenic spots that you won’t find anywhere else in the world.The Shirogane Blue Pond outside the hot spring town of Shirogane Onsen is a photogenic spot, which is named because of its blue shimmer caused by minerals from a volcanic mudflow from nearby Mount Tokachi. The best time to visit is on a clear, sunny day from mid-May to late June, when the pond is the most transparent shade of cobalt blue. 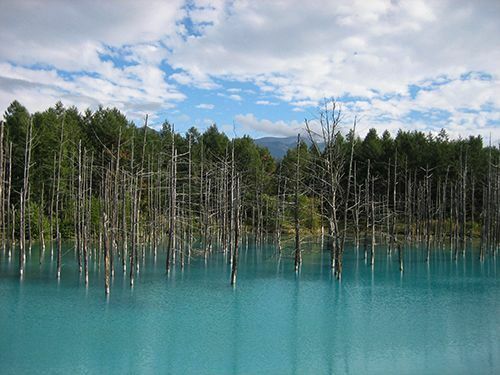 The Blue Pond is accessible via the Dohoku Bus (¥540 one way) from JR Biei station. 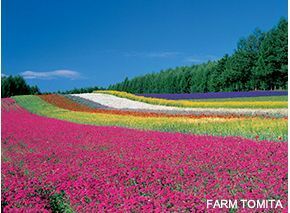 Farm Tomita, established in 1903 in Furano, is home to beautiful fields of flowers including poppies and purple lavender. There are also houses on the farm where you can enjoy lunch or buy lavender products including soft serve ice cream. The Farm is accessible via a 7-minute walk from JR Lavender Farm station, and Nakafurano is the closest bus stop, served by Furano Bus. About 4km from Farm Tomita is Lavender East, one of the largest lavender fields in Japan. It is open only during the blooming season in July, there is an observation deck where you can see the flowers in all their glory. 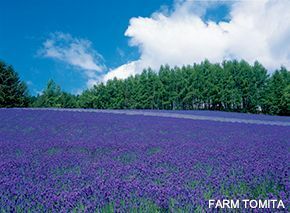 You can explore the fields on the Lavender Bus tractor for ¥200. Shikisai-no-oka is a flower garden stretching over 15 hectares of land in Biei. It’s best to go during green season from late April to late October when you can see tulips, lupine, lavenders, salvia, sunflowers, dahlia and Japanese anemone in bloom. The garden also houses an alpaca ranch, a restaurant and shops selling local produce. You can explore the park via the Shikisai-no-oka Norokko (tractor bus) or rent a buggy or cart. Access to the garden is a 25-minute walk from JR Bibaushi station. Admission is free, but the garden asks for a ¥200 donation to help maintain the place. because it can get cold, even during the summer. 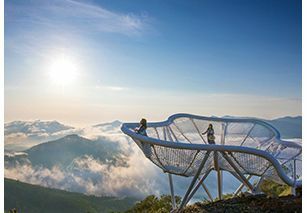 Open from mid of May to mid of Oct, the terrace has facilities including walking trails, post card shop, various viewpoint spots such as "Could Walk", "Could Bed", and a café. Getting to the terrace involves a 13-minute ride on a gondola (¥1,900 round trip, free for hotel guests) from the resort. The Shakotan Peninsula, located on Hokkaido’s west coast, is famous for its sea urchins, which are only available from June to August. Cape Shakotan, located at the end of the peninsula, is the most popular scenic site there. It has three walking tracks where you can see the Jorokoiwa rock formation, which represents the family members of a local samurai who were devastated when he left them to go to Mongolia (according to legend). 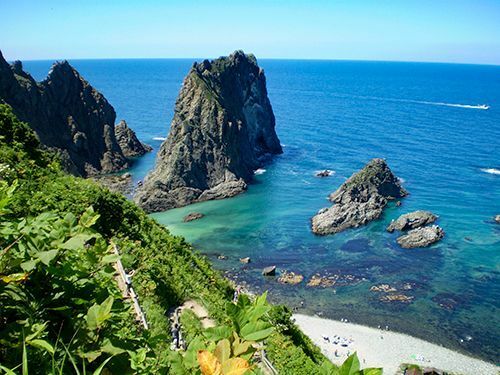 From Cape Shakotan, you can see Shimamui Coast, which was selected as one of the best 100 beaches in Japan. To get there, take the Hokkaido Chuo bus for Shakotan Kamui from Sapporo. 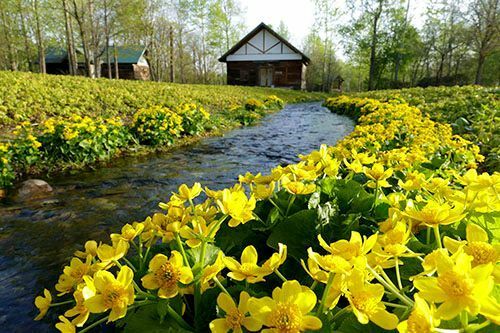 Rokka no Mori is a 10 hectare forest in Obihiro, showcasing six local Tokachi flowers like beach rose and dogtooth violet that bloom alongside babbling brooks. Owned by famous local confectionery maker Rokkatei, the flowers are featured on the wrappers – painted by landscape artist Naoyuki Sakamoto – of their products. Dotted around the forest are old houses from Croatia that are turned into art galleries and museums. Open from end April to October, and the admission fee is ¥800 for adults (¥500 for children). From JR Obihiro Station, it’s a one-hour trip to Nakasatsunai Shogakko-mae, and then a 15-minute walk. Whether you want to enjoy strolling around a lavender farm or walking among the clouds, summer is a great time to visit Hokkaido. Most of these tourist spots are only open during the summer, so don’t miss out!